All this talk about a Total Market approach makes you wonder whatever happened to the Total Hispanic Market. A discussion on the comprehensive Hispanic Market has been absent from the industry; we, at Entravision, are initiating it. 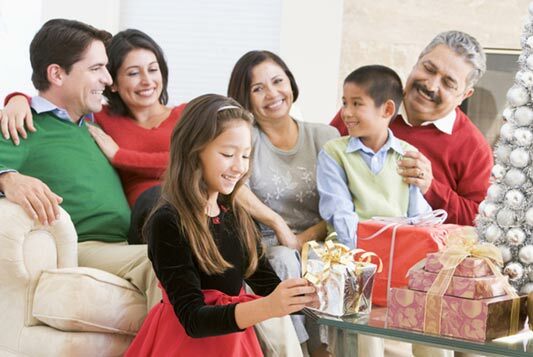 Today’s Hispanic market is distinct from the Hispanic market of decades ago. The 2010 Census demonstrated what demographers had been proclaiming for a while: Hispanic market growth is coming from nativity not immigration. And while the impact of said change won’t be fully felt for a while, savvy marketers will need to understand the distinct segments of the marketplace as well as best practices for reaching each sector as they roll out new campaigns and programs in the months and years ahead. In 2014, there were 55.2 million U.S. Latinos, according to Pew Research; the majority, 66%, were Mexican or of Mexican descent. The first-generation Hispanics, or foreign-born Hispanic market represented 35% of the Hispanic population or 19.3 million people. The U.S. born Hispanic population represented 65% of the Hispanic sector or 35.9 million people. Many advertisers erroneously assume that the full 65% who are native to the U.S. are reached and touched by general market messaging because of their English language proficiency; nothing could be further from the truth, as this sector spans multiple generations. Understanding both the dissimilar generations and their acculturation levels, are imperative for advertisers committed to executing marketing and media plans that drive hard Key Performance Indicators (KPI) and ongoing ROI optimization. First-generation Hispanics are foreign-born, and came to the U.S. at the age of 10 or older. This group remains Spanish language dominant and primarily engages with Spanish language media throughout their lives. They are avid watchers of Spanish language TV and listeners of Spanish language radio, and are closely tied to their cultures of origin. 26% of first-generation Hispanics comprise the 1.5-generation. This group is foreign born, so technically a first-generation immigrant, but they came to the U.S. younger than ten years of age and their primary socialization occurs here. Age of entry has a significant impact on acculturation levels and behaviors. This group is primarily bilingual/bicultural. They engage with both Spanish language and English language TV and radio, and are heavy digital consumers. 32% of Hispanics are second-generation, meaning they are born in the U.S. but at least one parent is a first-generation immigrant. This group is primarily bilingual/bicultural and over-indexes on-line where they have found a medium to speak and be heard. They are also more likely to be content creators. This group engages with both Spanish and English language radio and TV, in varying degrees, depending on DMA and socialization. Approximately 32% of Hispanics are third-generation, meaning they are U.S. born and have at least one parent who is a second-generation immigrant. This group spends less time with Spanish language radio and TV than generations 1 and 2, and are bilingual/bicultural and/or highly acculturated, dependent on the DMA. Future articles will address the similarities and differences across these segments including universal truths and best practices for reaching and engaging the Total Hispanic Market. Source: The Nation’s Latino Population is Defined by its Youth, Pew Research Center, April 20, 2016.